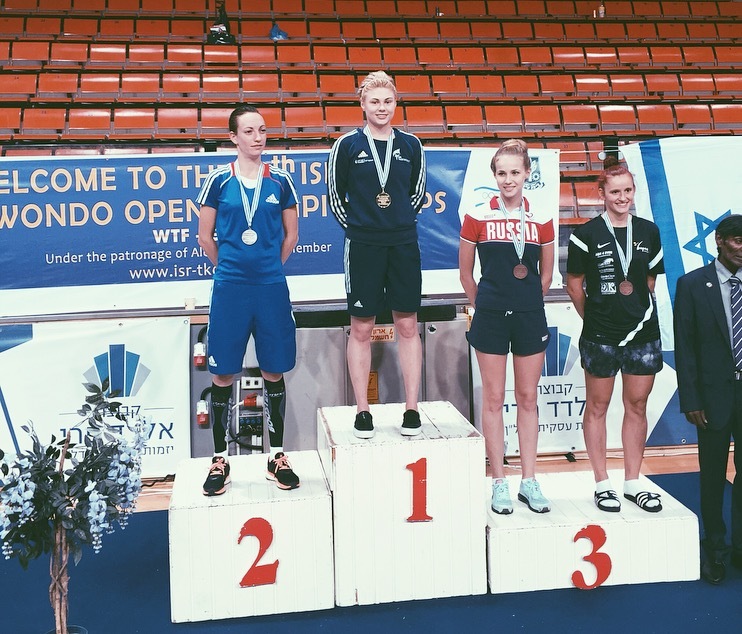 European Games champion Charlie Maddock made light work of her step up to a new weight division by winning the Israel Open title in Ramia. And Ben Haines doubled Great Britain’s medal tally by taking bronze at -74kg, only denied a place in the final on golden point. After competing most of the year at -49kg, Maddock took her place at -53kg and again delivered the goods. “Some of the girls had fought at -57kg at last month’s World Grand Prix in Moscow,” explained the 19-year-old from Stoke on Trent. “So, they were stronger than me. But I felt I had the edge on them with my speed.” And so it proved even though Maddock took time to adapt to the new category. Maddock came from 8-1 down in her opening bout to beat Cypriot, Despina Pilavaki 13-10. Wins over Sweden’s Magdalena Fernlund and 2014 European Championship silver medallist, Ekaterina Kim of Russia, took Maddock into the final against experienced French rival, Floriane Liborio. The 27-year-old won a World Championship bronze in 2013 and is twice European champion. But Maddock again showed she’s no respecter of reputations and defeated Liborio 8-5 to strike gold. Haines, 21 from Portsmouth, silenced a partisan home crowd with victory over Shlomo Shazo en route to the semi-finals. However, after a close clash with Russian Kadyrbech Daurov he lost in sudden death. 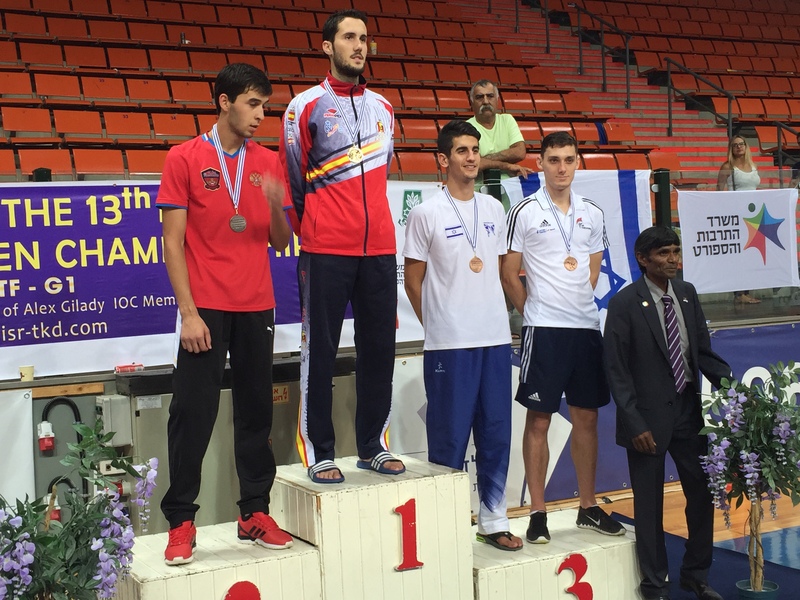 “My coach, Gareth Brown, told me to go with my back leg,” explained the 2015 Australian Open bronze medallist.